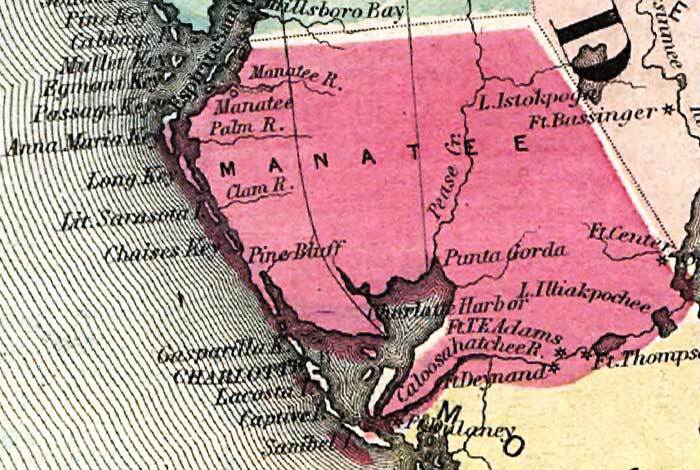 Description: This detail of Manatee County is current to 1860. This map shows drainage, state and county boundaries, place names, steamboat routes, and the railroad network. Each county is colored pastel for ease of differentiation. The main feature of this detail is Charlotte Harbor.